Have you ever had this happen to you? One day, you are doing laundry, dreading the thought of having to fold all those socks and undies once they’re dry. The time comes when you hear the dryer make the dreaded buzz, signaling it is time to pull those socks and boxers out and start folding them. You go to open the dryer and begin the daunting task ahead when you notice that after a full hour cycle on the highest temperature setting, your socks and tighty whities are still sopping wet. This could be a sign of a problem that, if left unattended, could lead to a disaster. Dryer ventillation lines are one of the most overlooked and ill-maintained ventillation systems in your home. Unfortunately, this makes them a dangerous hazard. Dryers produce a great deal of lint. While the machines come equipped with a lint catcher, you’d be surprised just how little of the fuzzy stuff that screen actually catches. 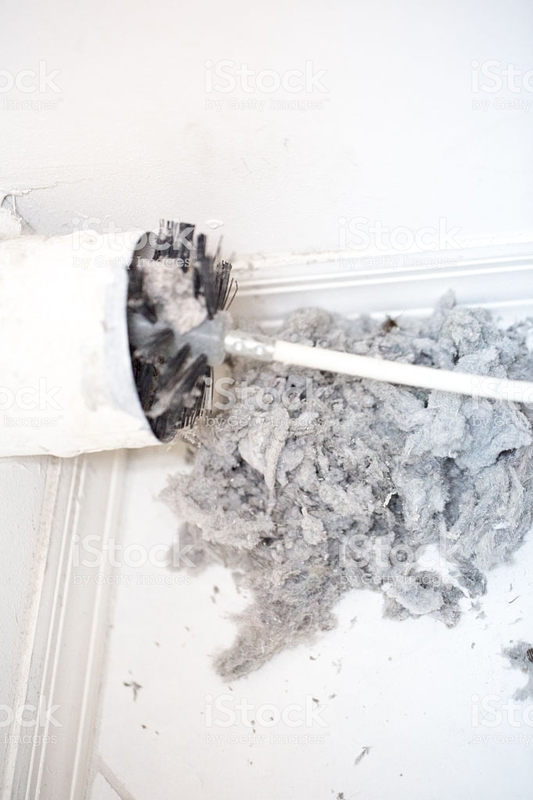 Your dryer vent lines, get clogged up with lint over time, and if you do not clean them at least once per year, you put your home at great risk of a dryer fire. Here are a few statistics from the US Fire Administration. 2,900 clothes dryer fires are reported each year in the US. These fires cause an estimated 5 deaths, 100 injuries, and $35 Million in property damages annually. 34% of dryer fires are a result of failure to clean. 28% of the time, dust, fiber, and lint are the first to ignite. The good news is, these disasters can be prevented. And there are some things you can do that won’t burn a hole in your wallet or send you running to break the piggy bank. Here are a few do’s and don’ts for safe dryer operation, cleaning, and maintenance. Clean the lint catching screen regularly. Generally before and after each load. Many tend to wait until it is totally covered to clean it. Have your dryer vents professionally cleaned. Especially if it is taking multiple cycles to completely dry your laundry. This is a sign of a major lint buildup that may require a more thorough cleaning. Make sure your dryer has the correct electrical connections and that they are plugged in properly. Inspect your vents in the back of the dryer to assure there are no lint clogs present. Check your outdoor vent opening to assure there are no birds nests, insects, or animals. Snakes, birds, rats, mice, and wasps tend to nest or come in through these openings. Larger animals such as birds, snakes, and rodents can get stuck in the vents and die, leading to a nasty odor as well as the dryer running inefficiently. They can also cause lint to build up, increasing the fire risk. Overload your dryer. Many people combine loads and try to stuff as much as they can possibly fit in the dryer drum in order to save time, energy, and money. This is counterproductive since larger loads take more cycles and time to dry. It can also wear out the motor much more quickly. Don’t leave the dryer running while you are away or overnight while sleeping. Unattended dryers, should they catch fire, can lead to death or injury, as is the case with many fires that happen overnight. Never use a dryer that has a broken, loose, damaged, or missing lint catching screen. Without a screen, all the lint goes directly into the ventilation lines, increasing the risk of fires. Having your vents cleaned has benefits. Obviously, it reduces the risk of fire. But, just cleaning your dryer vent system at least once per year can also save the average household 30% on your clothes drying costs. An efficiently-operating dryer means less cycles and time are needed to get airflow through your laundry to dry it. We hope that this post has been enlightening and informative for you and that the tips given will help you in the future. For more information, resources, and even more helpful tips, please visit https://www.usfa.fema.gov/prevention/outreach/clothes_dryers.html.